AdvantEdge uses powerful anesthesia billing software that streamlines work for our staff through ease of use, automation of routine tasks, and reminders when follow-ups are due. For your anesthesia practice and hospital, this means we have increased time available to focus on and resolve complex cases and denials. This is how we can increase collections and improve A/R—at a cost lower than most internal billing operations. AdvantEdge anesthesia billing software links directly to your ADT, EMR and other systems to download demographics and/or charge information. Where information is on paper, AdvantEdge ScanEdge technology captures it at the source and immediately routes it to our coders and charge entry experts. Optimized anesthesia workflows submit claims electronically the same day a charge is entered into the system and verified. Payments are applied fast: electronically for carriers with automatic reconciliation and, for others, using procedures optimized for each payer. Secondary claims—with electronic EOB attached—are filed the same day payments are posted from the primary payer. Denials and other payer responses are automatically queued for A/R team member follow-up. Capitation adjustments are done automatically. 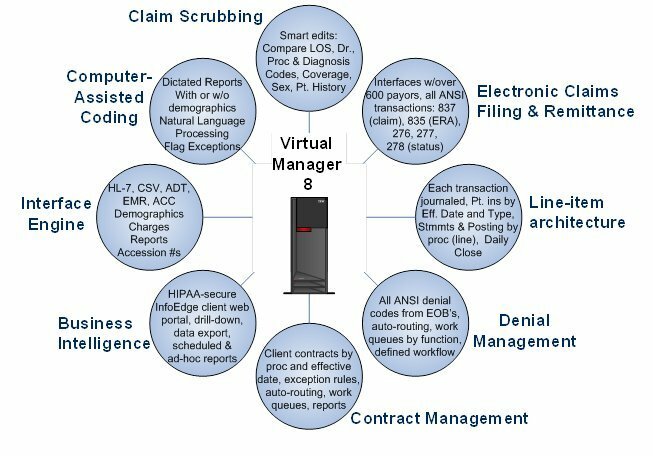 Full EDI interfaces with all payor organizations instantly upload patient and procedure data, verify eligibility, determine specifics of coverage, submit claims, electronically adjudicate claims, negotiate electronic remittance, and achieve automated posting to line items on the original claim submission. Denials are automatically routed to the right specialist for immediate attention. All transactions are recorded and fully journaled. 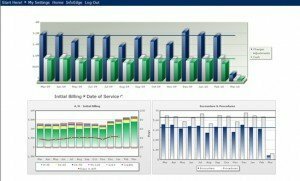 Our anesthesia billing software includes industry-leading dashboards, reporting and business intelligence capabilities, often referred to as “informatics.” From a client perspective, this means you have exactly the information you need, on your schedule and in the format you prefer. This approach is based on the AdvantEdge ClientFirst philosophy, viewing every situation through the client’s “lens.” One clear client imperative is visibility and transparency. For that reason, all forms of coding, billing and practice management data are readily available at any time. The HIPAA-secure InfoEdge dashboard offers a 13 month overview of Charges, Cash and Adjustments, volume and A/R aging. As a user, you can then drill down on any of the data for more detail by payer class or individual payer, location, or physician for any time period. Any of the data can be exported to Excel at any time. The InfoEdge dashboard uses a powerful but flexible security system so that each authorized user can see the data you specify, and only that data. For example, you can set it up so that an individual anesthesiologist can see his or her information, but nothing else. Similarly, a location manager could see just their location information, etc. The AdvantEdge InfoEdge portal is also where you can access your reports at any time. Reports are delivered automatically by our anesthesia billing software when you want them. 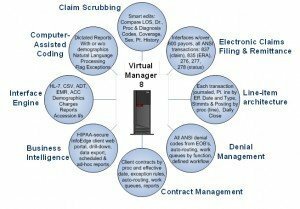 Ad hoc reports and other HIPAA secure information are delivered in the same manner.